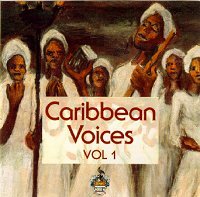 Caribbean Voices is a UWI fundraising compilation of various artistes covering different genres but it is predominantly a CD of familiar Sacred renditions. Amoco Renegade Steelband accompanies the Lydian Singers on two tracks and plays alone on two others. Third World, the UWI Singers, and the Cavite Chorale also perform sacred repertoire.